We buy whole carcasses directly from Texas ranchers who practice humane husbandry and sustainable environmental stewardship. 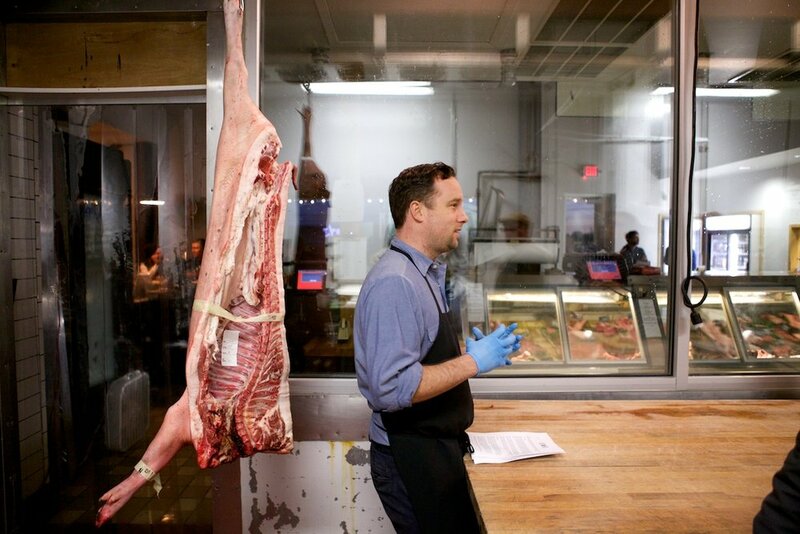 We place equal value on ethics and flavor and only source meat that has the highest standards in both. Once we receive it we cut, age, cure, dry and smoke our delicious products. Our team of expert butchers cut steaks and roasts, as well as ground meat, and fresh sausage. Whether it's a classic cut such as Beef Ribeye or Lamb Chops, to less common cuts such as skin-on pork belly or a picanha roast, whatever cut you are looking for, we can cut it. If you're looking for a hard to find cut, let us know, we'd love to help. We craft a wide variety of cured, smoked and dried meats. From classic staples to our Lone Star State inspired Salumi de Tejas, we use traditional techniques to produce delicious, high quality meats.